UP is a community interest company. UP is the trading name of WHAG Community Enterprises CIC, company number 09033067. This means that its governing document has to include a statement about how the work of the company will benefit the community. The company will work for the benefit of vulnerable and disengaged people within the community. We will do this by working to provide support and advice to build healthier relationships within the community, and opportunities to develop skills and knowledge in order to create healthy relationships. We also have to use any assets and profits for the benefit of the community. Kerry studied Fine Art at University and started volunteering within community art projects. As a result of this volunteering, she made links with the organisation she has now worked at for the last 13 years. Kerry has been successful at securing substantial amounts of funding and income generation for the organisation. Kerry’s strengths are within project development, finance and the creation of community based support services for those most in need. Within her current role as Deputy Manager, she supports the overall growth, development and sustainability of the charity. Kerry is currently leading the organisation’s drive to attain the national ‘PQASSO’ quality assurance scheme for small charities. Kerry has a keen interest in people management and will be undertaking her Msc in Human Resource Management at Manchester Met University. 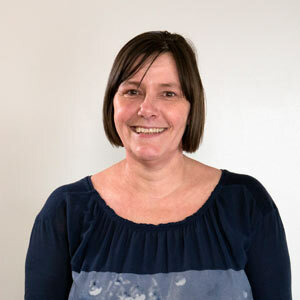 In 2016, Kerry became a Board member of WHAG and from this she became part of the UP board, a social enterprise venture created for the purpose of diversity income streams to support our charitable aims, and also to create new ways of working and take a leading role within the field of improving people’s lives and create healthy relationships. Passionate about the development of people she is a member of the Institute of Leadership and Management (ILM) and a qualified coach. She holds a City & Guilds Medal of Excellence and was also the winner of the Lion Award as ILM’s learner of the year. 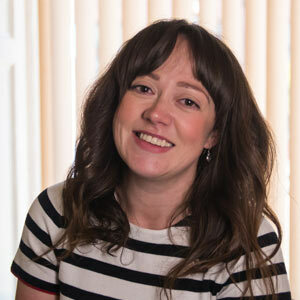 Identified as HR Leader of the Future by People Magazine, she later went on to receive a Women in Housing Awards nomination for her contribution to coaching and mentoring. I am the Company Secretary for UP, WHAG’S Community Interest Company. I ensure the CiC is compliant with Company Law, kept up to date with CiC Regulator and adhering to Company House requirements. The role is mainly administrative and is developing as the CiC evolves, and I hope to take a more active director role in Company Law in the future. In my free time, I am an avid MCFC supporter, active in our local supporters branch, and I am their ticket secretary – mainly so I get access as it’s too hard to find match tickets! I also have 3 fabulous cats, am a carer, enjoy travelling and eating out all of the time. I love the out-of-doors, nature and the sea. I am a person centred counsellor, practice meditation and really enjoy trying out new activities. Oh, and shopping isn’t bad, either. 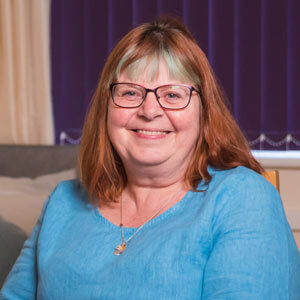 Kirsty started her working life in Nursing and moved into supported housing in the 1980’s. She moved roles and specifically started working with women and has also served on boards of women only projects in the past. She then returned to part time education to take a post graduate qualification in management to expand her knowledge. Kirsty was first made aware of the opportunities of Social enterprise nearly 20 years ago and is excited to be involved with UP. If you would like more information about becoming a director, please contact us.